Alfred Stepan’s death left a gaping hole in the academy and the world. 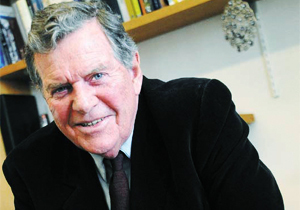 A giant in the field of comparative politics, Al (as he was known to friends) was an even more powerful force in the world of democratic development, having dedicated much of his life to understanding the forces that lead to democratic transition, democratic consolidation, and democratic breakdown. Readers of The Immanent Frame are likely to be familiar with his work on religion, including his influential article, “Religion, Democracy and the ‘Twin Tolerations.’” Yet, although he worked closely with Father Theodore Hesburgh on the elimination of nuclear weapons in the 1980s, Al came to the academic study of religion relatively late in his career having already authored or coauthored ten books on the military, authoritarianism, and democratic transition and consolidation. As a result, Al brought a distinctive ethical sensibility to the study of religion and politics. In this essay I want to elucidate that sensibility since it is central to his legacy. Prior to entering Columbia University in the fall of 1964, Al received a bachelor’s degree in English literature from Notre Dame University in 1958 and a master’s degree from Oxford University in 1960. He served in the Marine Corps from 1960-1963 and was positioned twenty miles off of the coast of Santiago de Cuba during the Cuban Missile Crisis. His first academic paper in graduate school was about the American misperceptions of Cuba that had nearly led to nuclear war. His experience in the Marines also proved crucial for his writing in The Economist on the 1964 military coup in Brazil, as well as his dissertation and subsequent book on Brazil, The Military in Politics (1971). While most scholars at the time argued that coups originate from within the military, Al’s experience taught him that soldiers often opposed intervention in politics because it could split the armed forces. While most scholars argued in favor of military involvement in postcolonial state-building, Al demonstrated that the military was often selectively recruited from different regions, that those regions have political cleavages, and thus that the armed forces were often a source of national fragmentation rather than unity. Firsthand knowledge, high-quality field research, and empirically grounded arguments continued to be the hallmark of Al’s work for more than four decades. His first book was censored, uncensored, became a bestseller, and was then censored again in Brazil. It was translated into Spanish, Korean, Thai, and Indonesian, which proved valuable in later years, such as when the Indonesian military detained him upon arrival at the Jakarta airport for an extended discussion of how to extract the armed forces from politics after the democratic transition in 1998-1999. His second major volume, Authoritarian Brazil (1973) included a chapter by Juan Linz that argued against the possibility of sustained military authoritarianism in Brazil. The Brazilian military’s top political strategist, General Golbery do Couto e Silva, had read an advance copy of the chapter. What Silva learned led him to begin opening the regime to relax military rule and move toward democratization. Personal experiences like these led Al to believe that academic research matters, that ideas matter, and that there is no point squandering the power of our publications on minor questions driven by methods or available data. Al initially chose to devote that power to preventing democratic breakdowns. Having witnessed the breakdown of democracy in Brazil in 1964, he was confident that it was avoidable. His longtime coauthor, Juan Linz, felt the same way about interwar Germany and Spain. The result of their dissatisfaction was an investigation into eleven cases of democratic collapse: Germany, Italy, Austria, Spain, Estonia, Latvia, Brazil, Chile, Argentina, Colombia, and a near breakdown in Finland. Published as a four-volume set by Linz and Stepan, The Breakdown of Democratic Regimes (1978) showed that democratic incumbents contributed to the failure of democracy through missteps and hesitation in using force against antidemocratic groups. Stepan and Linz finished the volume with a preface that stated: “High priority for future work along these lines should now be given to the analysis of the conditions that lead to the breakdown of authoritarian regimes, to the process of transition from authoritarian regimes, and especially to the consolidation of post-authoritarian democracies.” Over the next twenty years, Linz and Stepan prioritized that analysis, leading to their 1996 volume, Problems of Democratic Transition and Consolidation: Southern Europe, South America, and Post-Communist Europe. The text was a landmark achievement. Moreover, it was a translated into a dozen languages, making it a handbook for activists in societies across the globe. Al’s scholarship was always oriented toward praxis because he had witnessed the power of democracy movements. In the 1960s and 1970s, only five of twenty Latin American countries avoided military dictatorship, while today there are no military authoritarian regimes. Likewise in the 1970s and 1980s, it was common for scholars like Samuel Huntington to argue that Catholicism and democracy were incompatible. Today, “Islam” is substituted for Catholicism. Then, as now, Al rejected arguments that any religious tradition is incompatible with democracy. Instead, he spent the past two decades tackling pressing questions of religion and politics. Is Islam compatible with democracy? Is democracy possible in nations with high levels of ethnic, religious, or cultural heterogeneity? Is the complete differentiation of state and religion necessary for democracy? These are charged questions. They are often answered by polemic rather than inquiry. They are normatively burdened by latent assumptions. As a result, it is common for scholars of religion and politics to ignore them on the grounds that they are not worth debating on syllabi or in print. Similarly, it is common to interrogate the latent assumptions without answering the questions. Instead, Al answered these questions through diligent field research. He showed theoretically that all religious traditions are “multi-vocal” in that they harbor a diversity of beliefs and practices, some of which bolster democracy and some of which do not. He demonstrated empirically that hundreds of millions of Muslims live and support democratic governance in democracies like India, Indonesia, Senegal, Albania, and Tunisia. With Mirjam Künkler, he published an interview with the former leader of the Islamic organization Muhammadiyah, Amien Rais, about the reform movement that overthrew Suharto and led to democratization in Indonesia. He invited Rais to make theologically grounded arguments for democracy in order to provide support to other Islamic movements working to democratize their own countries. In January, just nine months before he passed away, he was with Monica Marks on the ground in Tunisia interviewing the Islamist party leader Rached Ghannouchi. To demonstrate that democracy is possible in states with high ethnic, linguistic, or cultural diversity Al spent a decade studying India. His book with Linz and Yogendra Yadav, Crafting State-Nations India and Other Multinational Democracies (2011) develops the concept of the “state-nation” as a contrast to the common assumption that democracy is predicated upon a territorially-linked nation-state. Al argued that in countries with profound cultural diversity, the process of state building should recognize and legitimize that diversity through institutional arrangements like asymmetrical federalism, devolution, federal recognition of holidays, or other consociational practices. The goal of such institutional arrangements is not to end profound cultural and political disagreements; it is to channel such conflicts into peaceful political competition over the goals and values that citizens want to advance. In advocating such a vision for democracy, Al departed from the view of John Rawls and other liberals who demanded the sharp differentiation of religion and state. He likewise departed from secularists who believe state management of religion inevitably truncates religious freedom and individual liberty. Instead of separation of state and religion, Al drew on the history of established religions in Europe to advocate the “twin tolerations”: a form of mutual toleration between religion and state wherein religious leaders give elected leaders the autonomy to enact policies, and democratic leaders give religious leaders space to worship, participate in civil society, and to organize politically. Al’s was not a liberal or secular prescription for political life, but rather a radically inclusive democratic one. Al likewise supported democracy at home. He was vehemently anti-imperialist and savaged scholars who supported the 2003 Iraq war in order to “spread democracy.” His prescient warnings in 2011 about inequality in the United States laid bare the destructive consequences of America’s record levels of political and economic inequality. In 2012 Al was given political science’s highest honor, the Karl Deutsch Award from the International Political Science Association. Yet he was always tremendously humble. I was always surprised when Al asked me to critique his work and direct his analysis. He listened to the ideas of everyone he met and took seriously their views. The result was that he demanded others engage seriously, too, which could be intimidating. Al taught everyone he encountered to elevate their game. By now Al’s distinctive ethical sensibility should be clear, along with the reasons why his combination of scholarly brilliance and moral force of character will be sorely missed. Al was intimately familiar with Gustavo Gutiérrez’s work in the field of liberation theology, and to me, Al’s approach to research is reminiscent of Gutierrez’s injunction to stand in solidarity with the poor by taking a stand against poverty. Al stood in solidarity with those combatting authoritarianism and building democracy. Al fought his whole life to help people understand the virtues and workings of democracy, and the peaceful means by which authoritarian regimes fall. He stood in solidarity with advocates for democracy in Indonesia, Tunisia, Senegal, and Turkey just as he did throughout Latin America, Central America, Central and Eastern Europe. He enacted his democratic commitments on the page and also as an institution-builder. After the fall of the Berlin Wall he agreed to be the first rector and president of the Central European University in Budapest from 1993-1996 in order to strengthen democratic forces in Central Europe. He found eager allies in the twenty countries where he did field research along with the dozens of students he mentored. Although he will be hugely missed, Al Stepan’s memory will live on in his scholarship, in the work that he will continue to inspire, and in the lives of democrats across the globe. For a fuller appreciation of Alfred Stepan’s accomplishments, see the extended interview with Stepan in Passion, Craft and Method in Comparative Politics by Gerardo L. Munck and Richard Snyder (2007); Douglas Chalmers and Scott Mainwaring, Problems Confronting Contemporary Democracies: Essays in Honor of Alfred Stepan (2012); Alfred Stepan, 2016. “A life in comparative politics: Chasing questions in five continents.” International Political Science Review 37:5, 691-705. Jeremy Menchik is assistant professor in the Fredrick S. Pardee School of Global Studies at Boston University and faculty affiliate in political science and religious studies. His teaching and research focus on comparative politics and the politics of religion. His first book, Islam and Democracy in Indonesia: Tolerance without Liberalism (Cambridge University Press, 2016) explains the meaning of tolerance to the world’s largest Islamic organizations and was the winner of the 2017 International Studies Association award for the best book on religion and international relations.